PMI Nutrition knows that pet owners love their pets. That is why we have set our standards high. Our pet foods have been developed and proven through extensive research to exceed the recommended nutritional levels established for your pet. PMI Nutrition invest our research and marketing funds into improved quality instead of national advertising. This allows us to offer you superior nutritional diets at a lower cost. Our products are offered strictly through select Professional Animal Feed Dealers who specialize in the care and feeding of dogs and cats. This includes all of our brands including Exclusive, Infinia, Red Flannel, and PMI Brands. 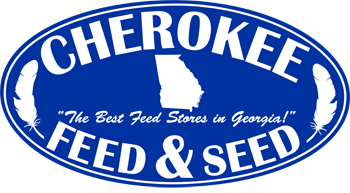 PMI Nutrition Products are available at all Cherokee Feed & Seed stores.